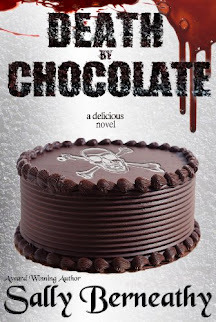 Chocolate Worth Dying For--Maxine is the brand new owner of a chocolate shop and catering business 'Au Chocolat'. She figures with a lot of hard work and a little luck she'll be able to make her dream a reality. But people aren't supposed to die holding one of her chocolates in their hands. It's up to her to find out what happened and make sure justice is done. 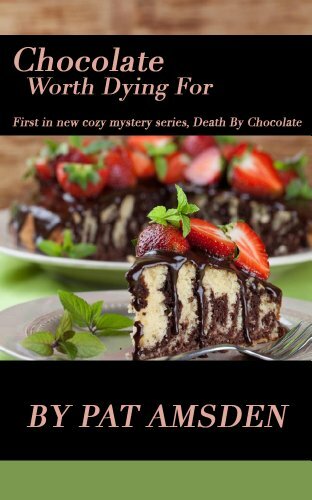 Before people decide even chocolate isn't worth dying for.To do that she'll have to dig into the lives of some of Victoria's richest, most powerful, people. And in the process a killer may decide the only way to stop Maxine is to kill her. There are a lot of suspects to choose from since the victim died at one of the premier social events of the season. Hopefully Maxine will be able to find the killer before she becomes the next victim!